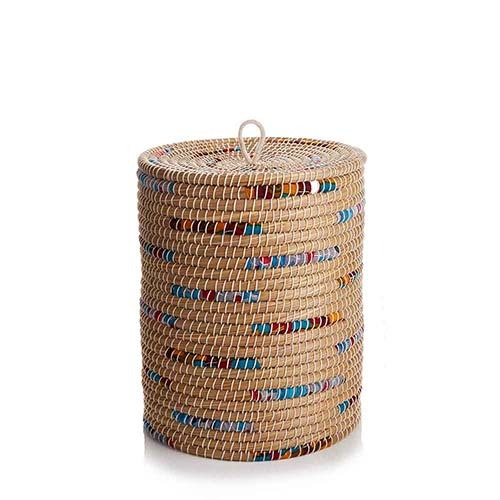 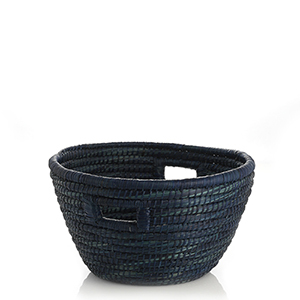 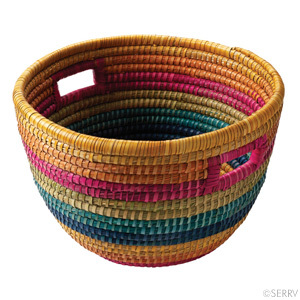 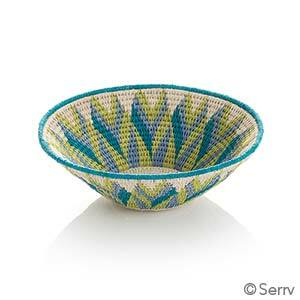 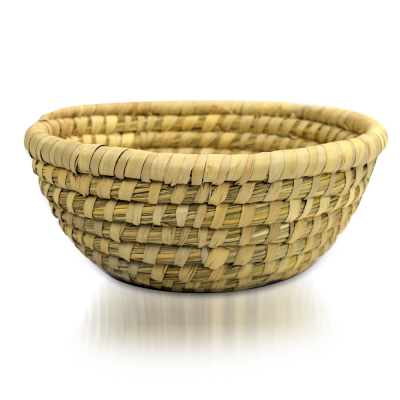 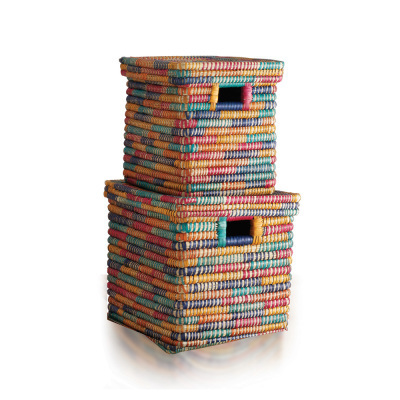 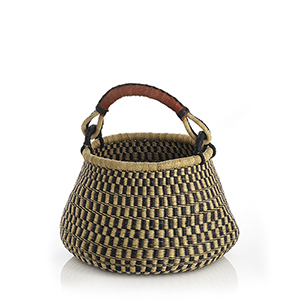 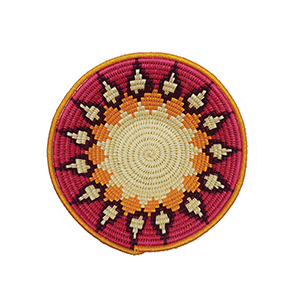 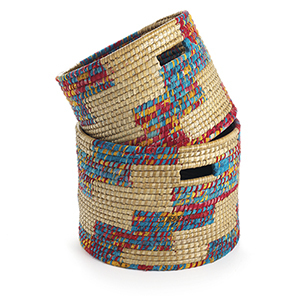 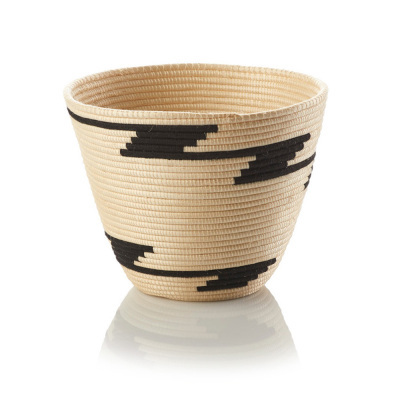 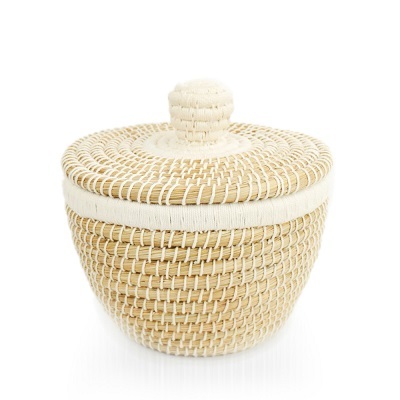 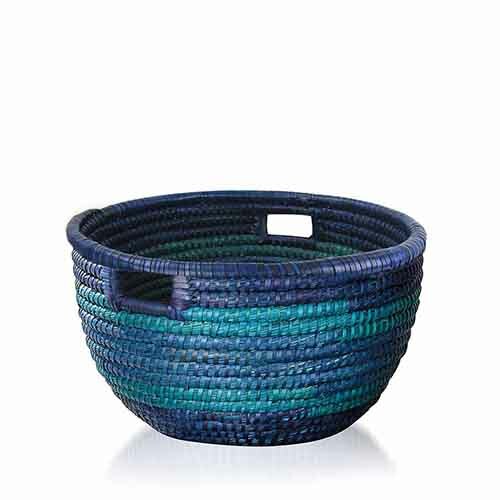 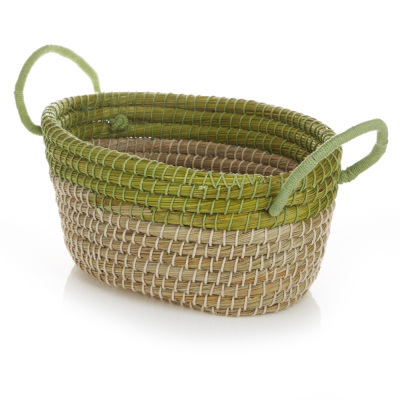 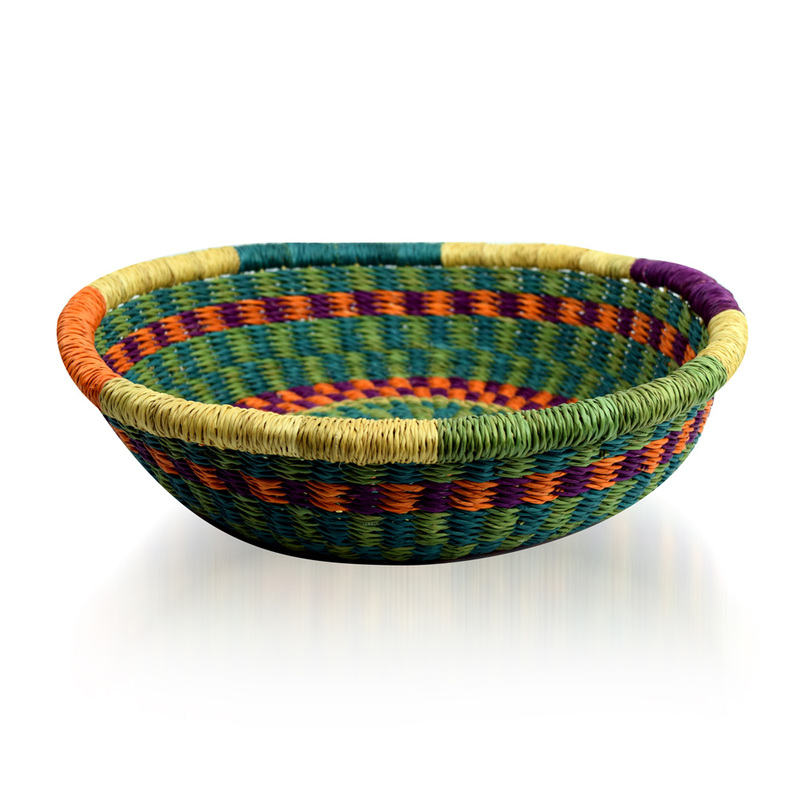 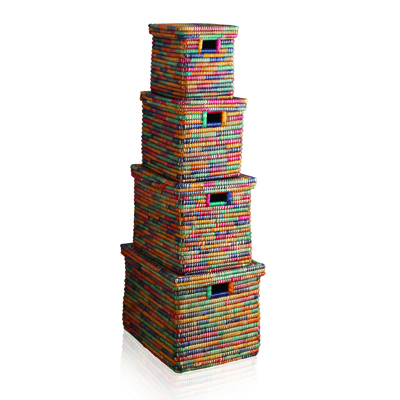 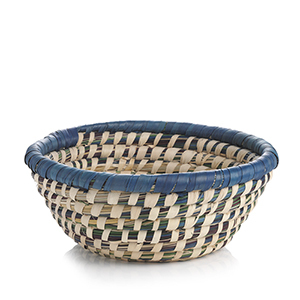 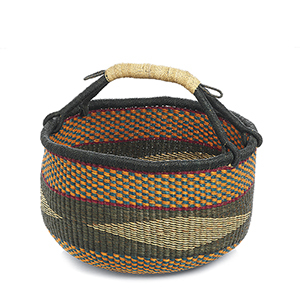 Each basket we offer is handwoven by one of our artisan partners who earns a fair wage for their work. 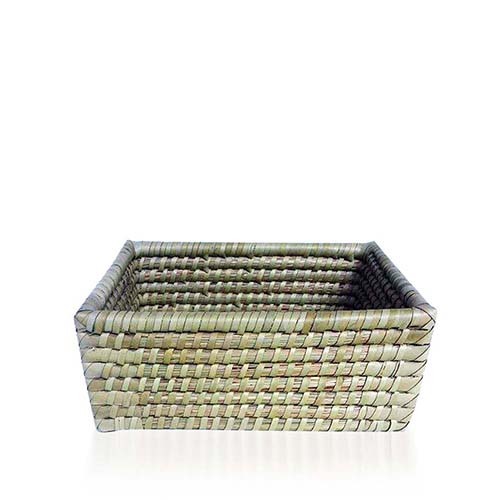 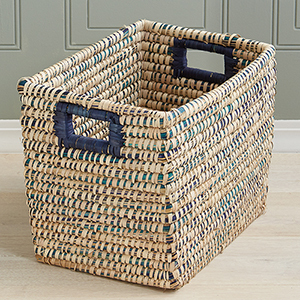 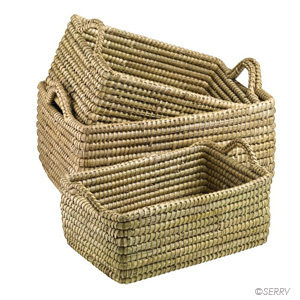 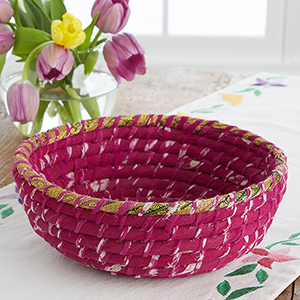 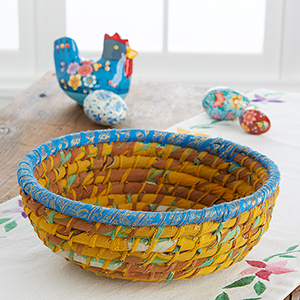 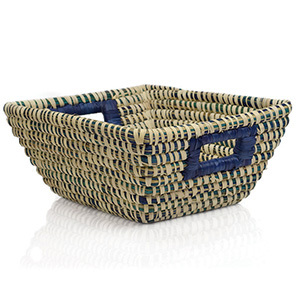 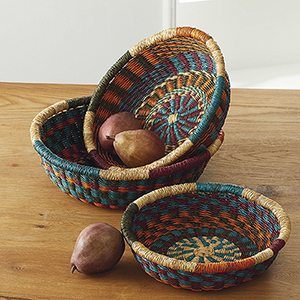 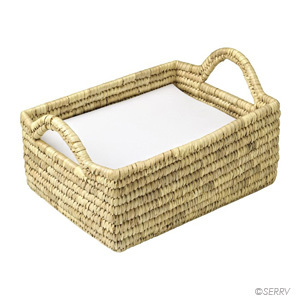 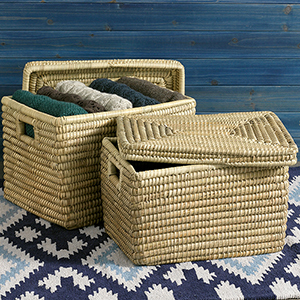 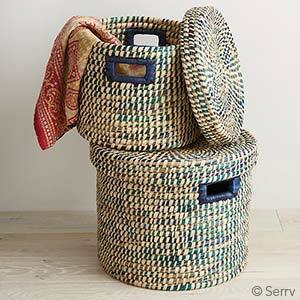 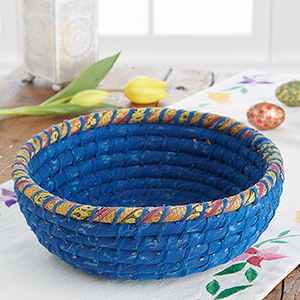 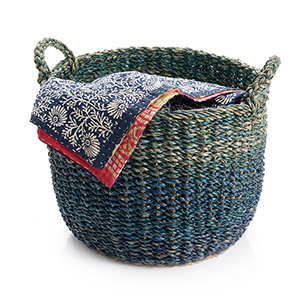 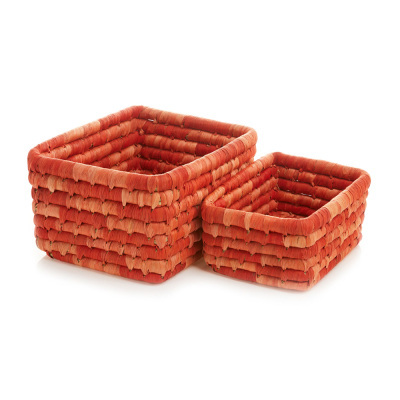 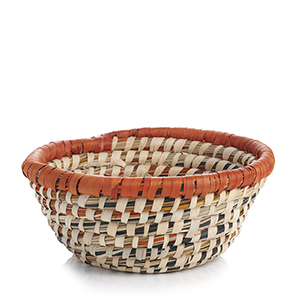 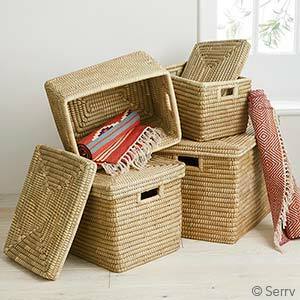 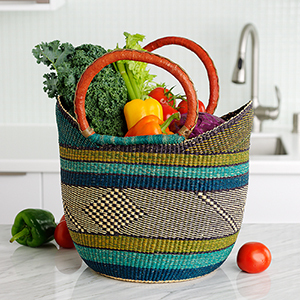 Browse our collective of handled baskets that are perfect for storage and trips to the farmer's market. 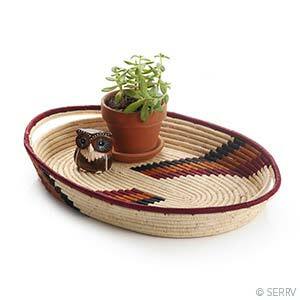 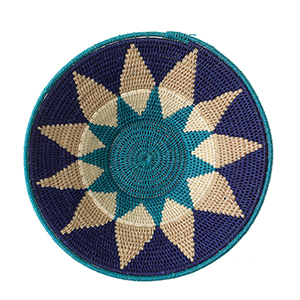 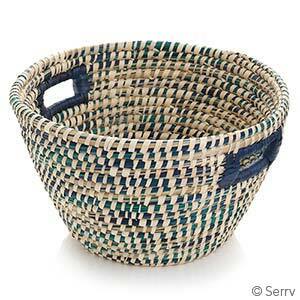 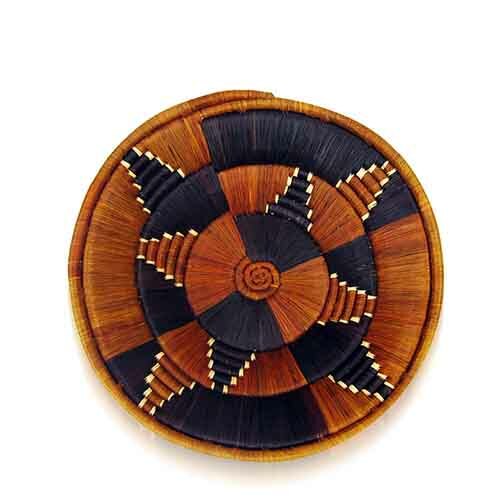 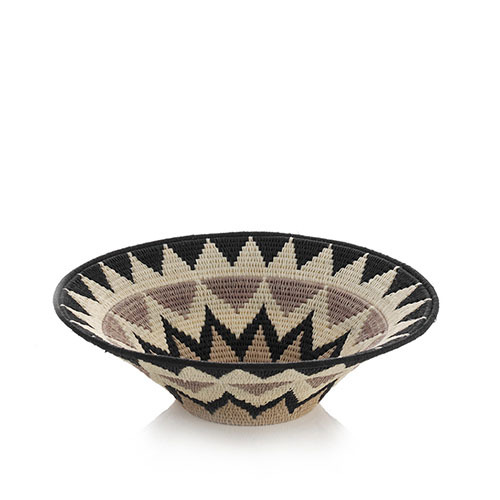 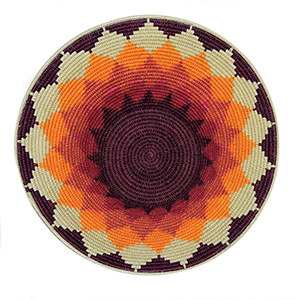 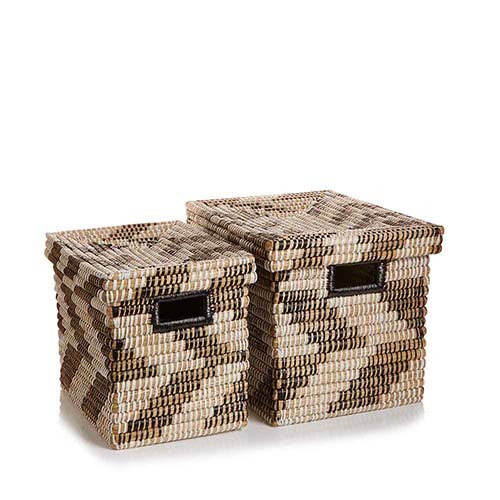 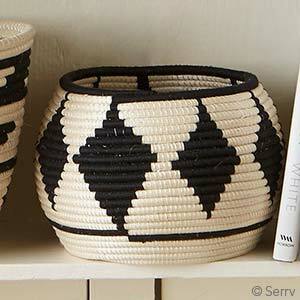 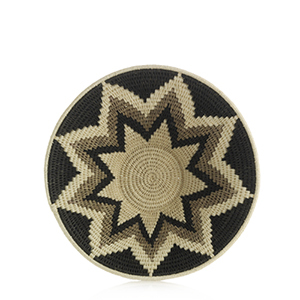 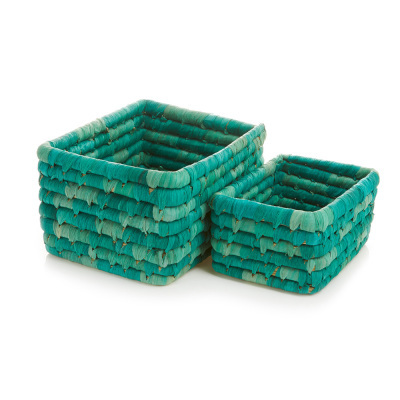 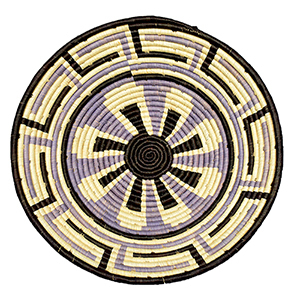 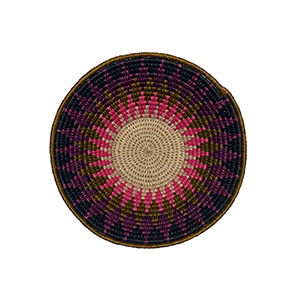 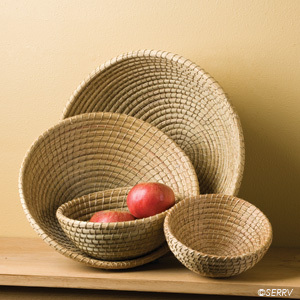 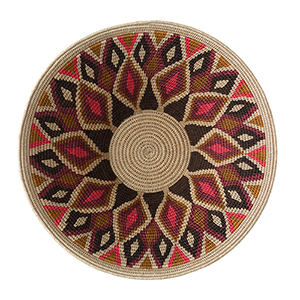 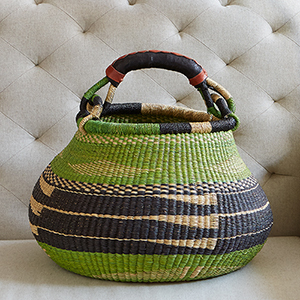 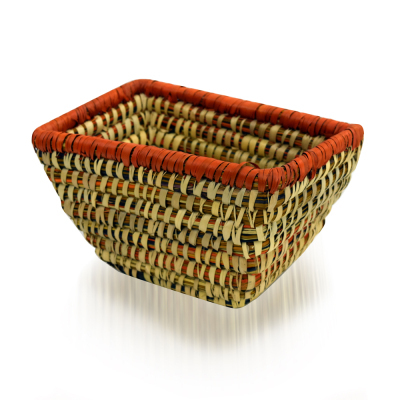 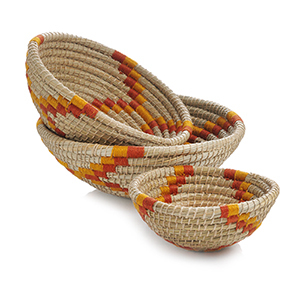 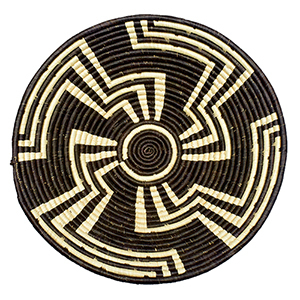 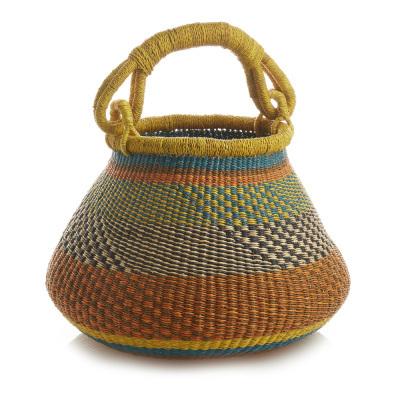 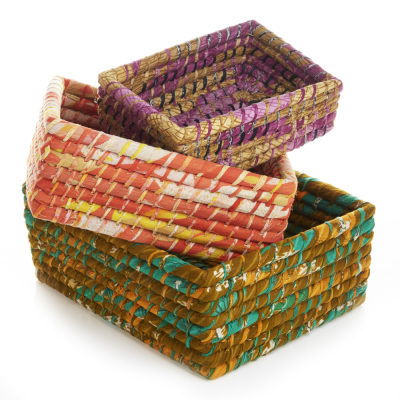 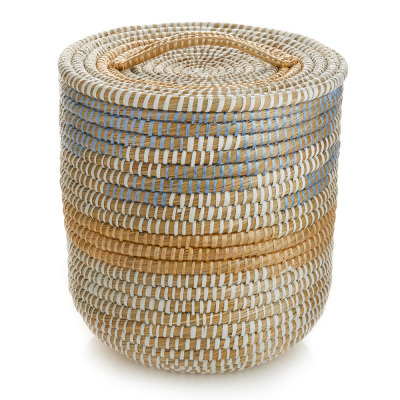 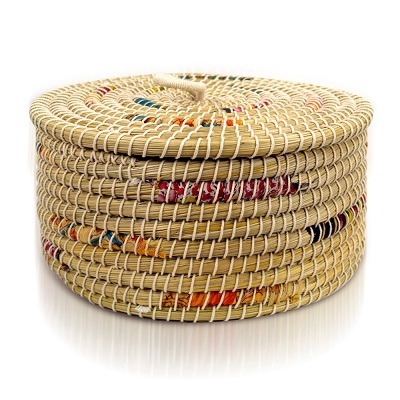 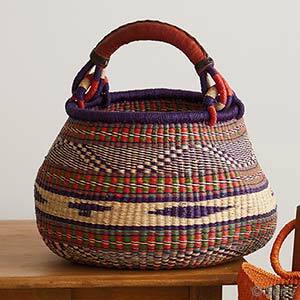 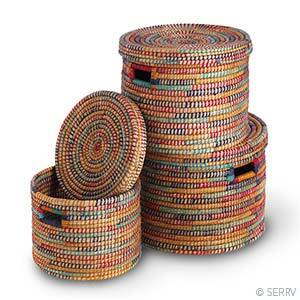 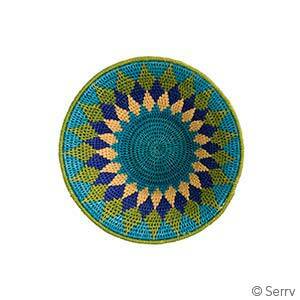 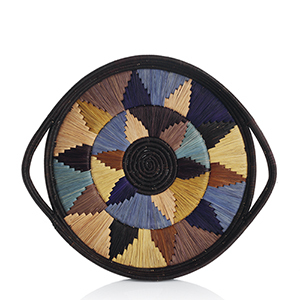 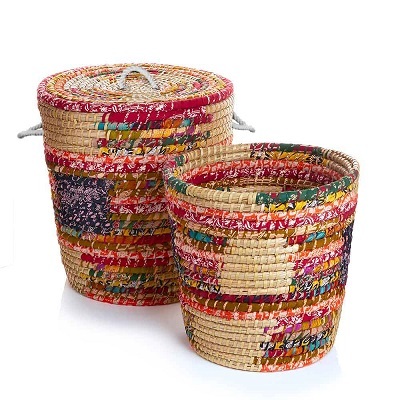 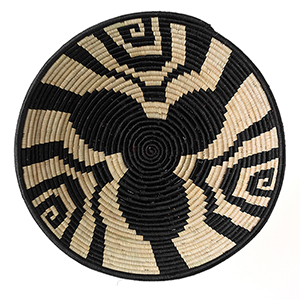 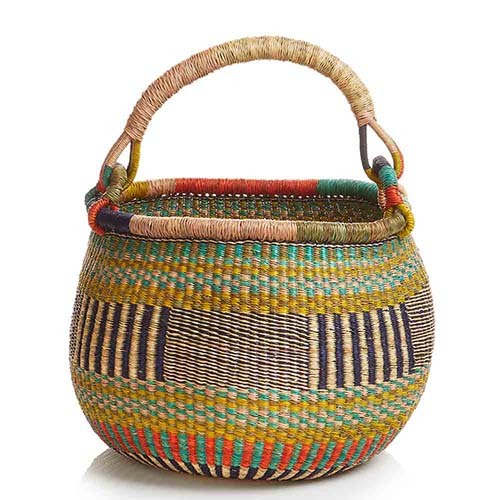 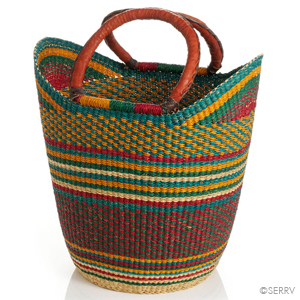 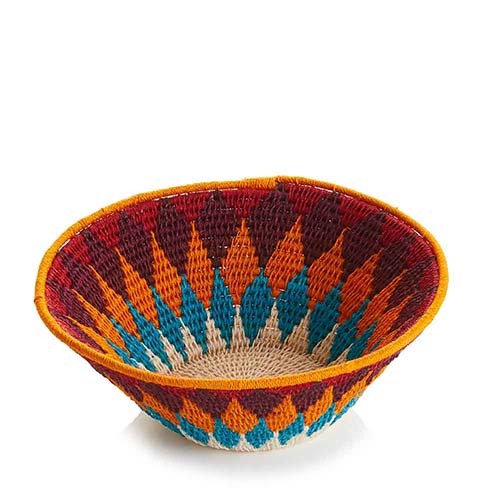 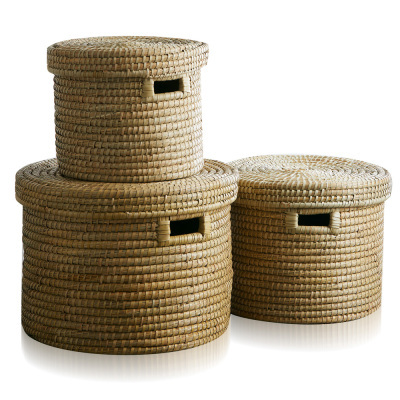 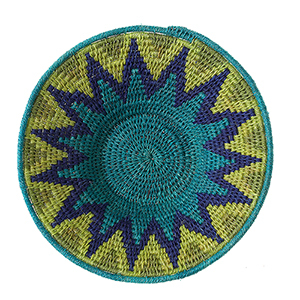 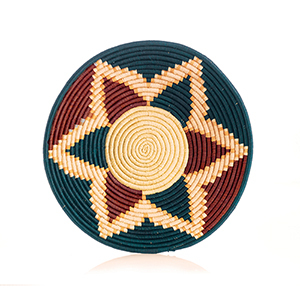 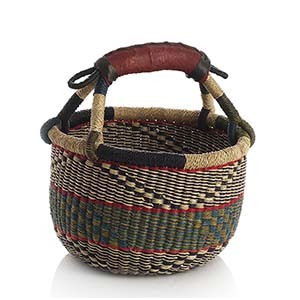 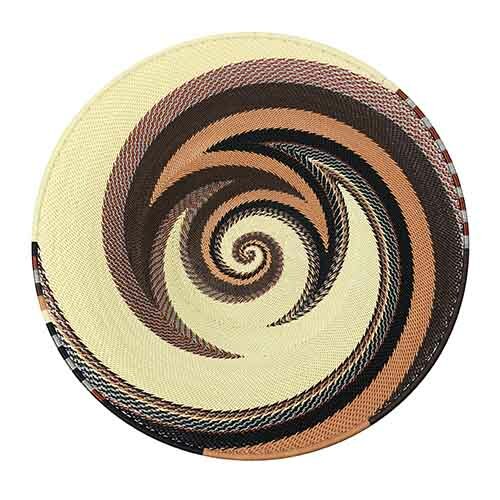 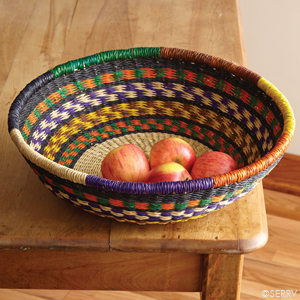 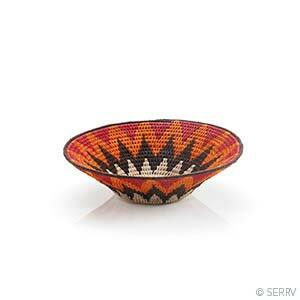 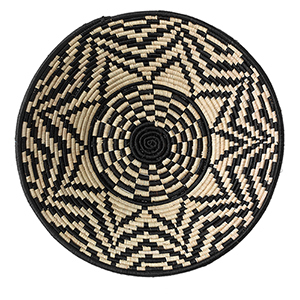 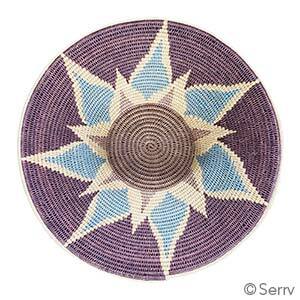 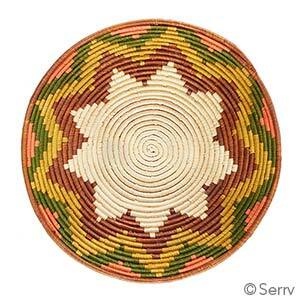 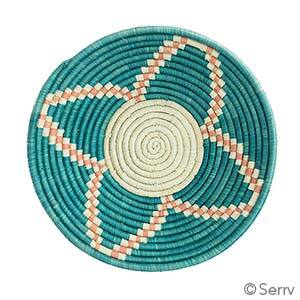 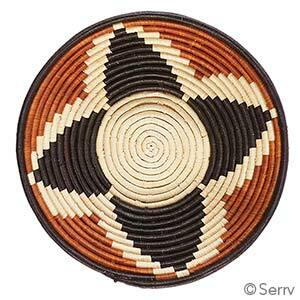 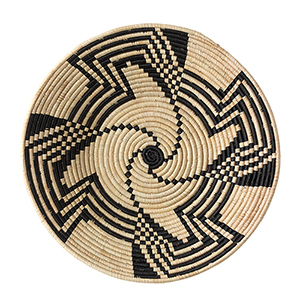 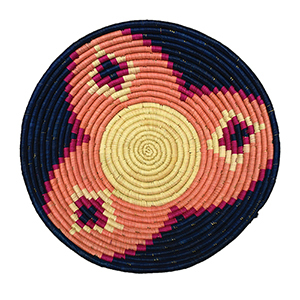 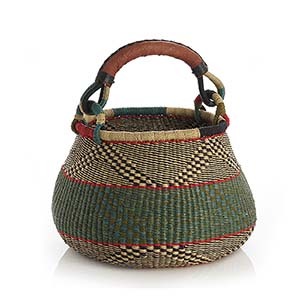 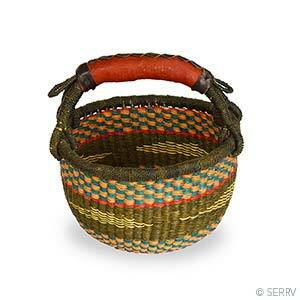 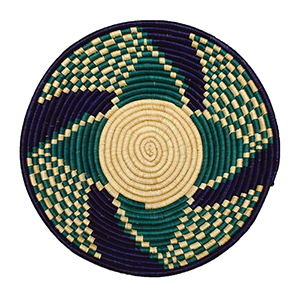 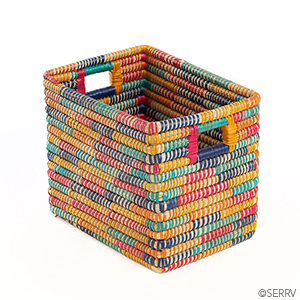 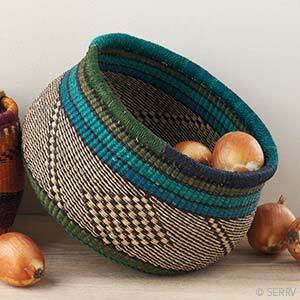 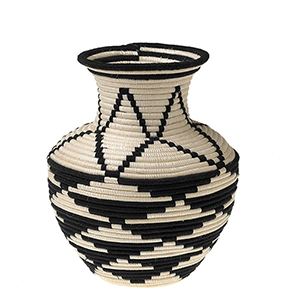 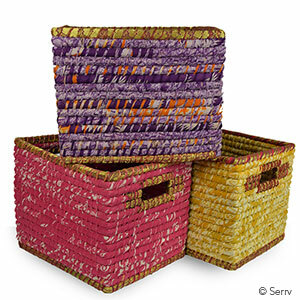 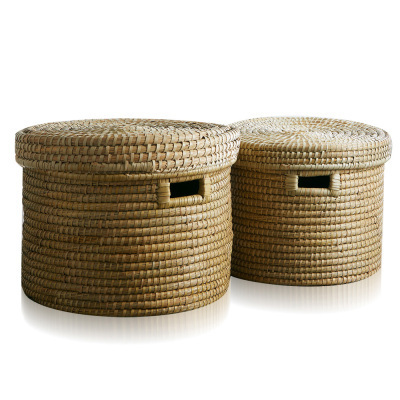 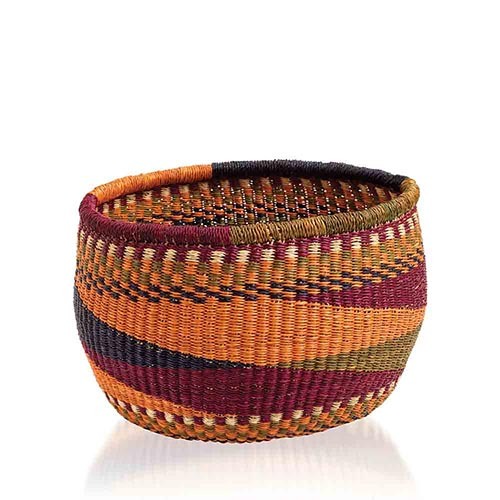 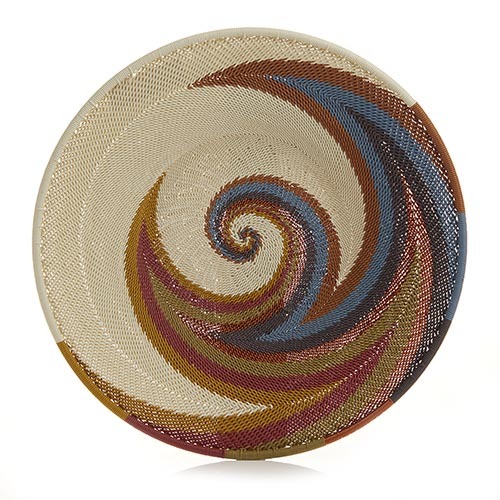 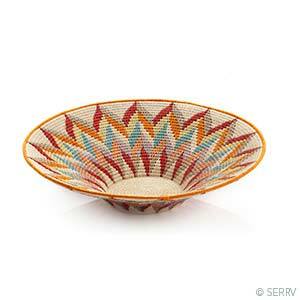 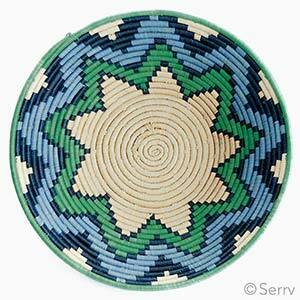 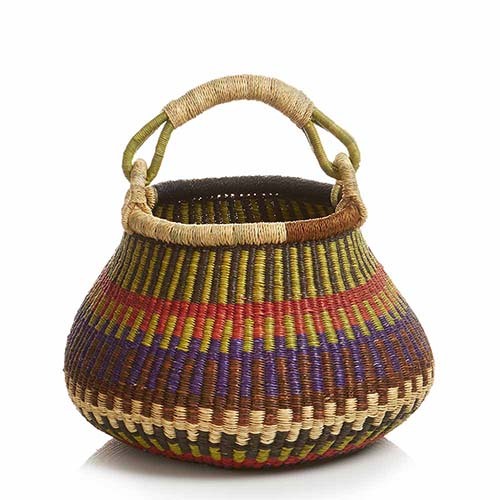 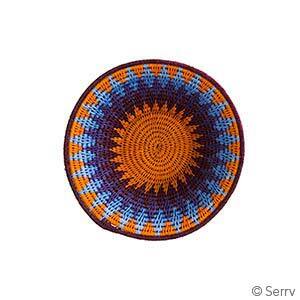 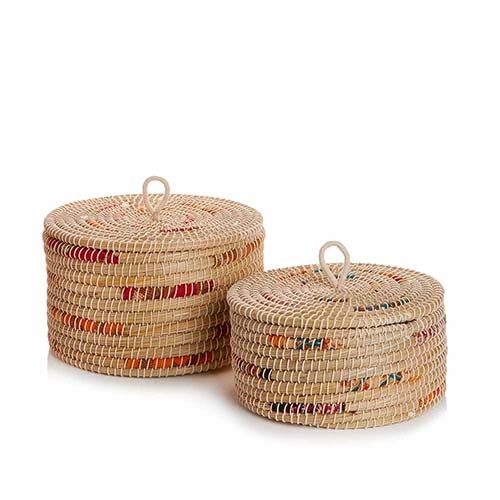 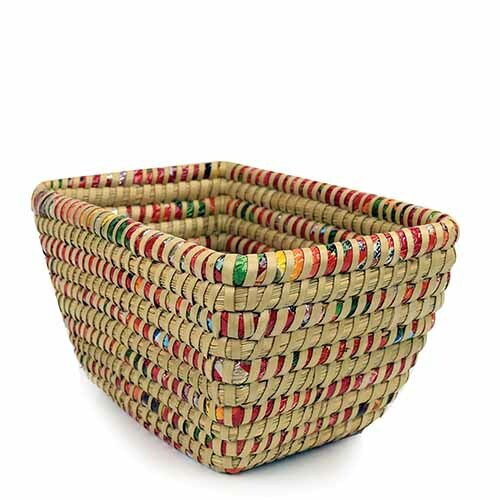 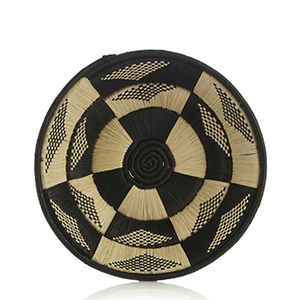 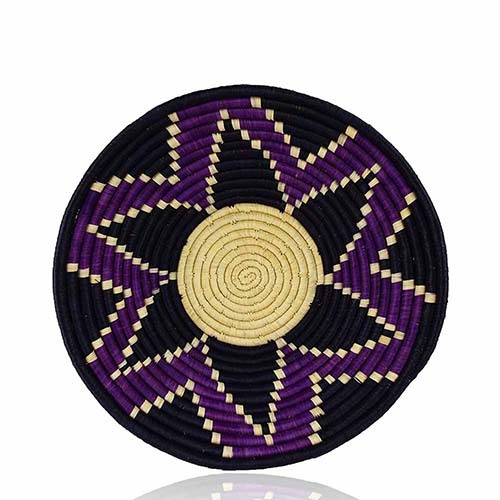 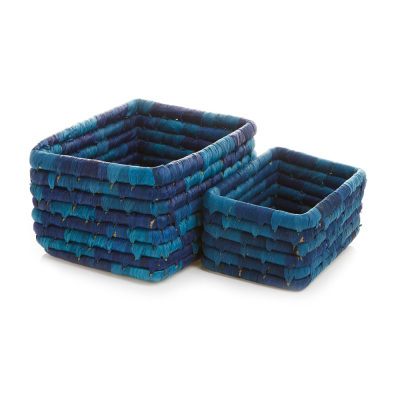 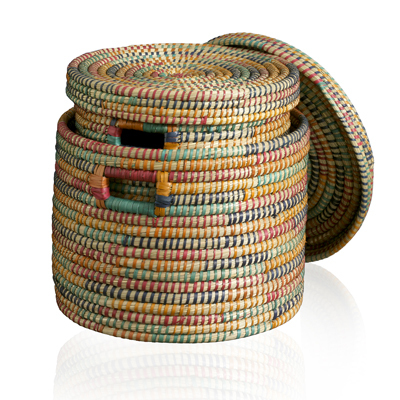 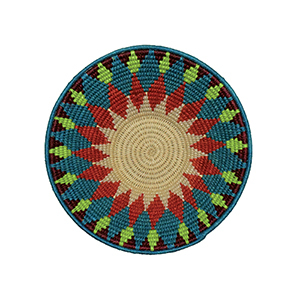 Don't miss our beautiful African Bolga market baskets!